UGM Motors strives to earn your trust and your recommendation with integrity, high standards and a commitment to customer satisfaction. Here’s what a few of our customers had to say about their experience. Honest people with good hearts! Brian is very helpful. I will take all my repairs to him from now on. They do all my motor work and are fair priced as well as going for good in our community. This is the real deal: an honest car dealer. They look over the car and tell you upfront what they found. 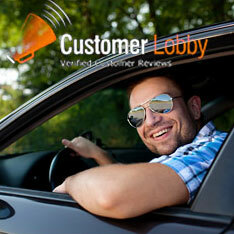 Any safety concerns are addressed before the car is offered for sale. Bought a great used car. Staff was very intentional about disclosing any and all issues they found in the car. They give every car an extensive look over before selling it. AND the money you spend helps change lives! We just purchased a 16' box truck for our moving company. Great price, great customer service. Will be going back when we need another vehicle. Honest, affordable and knowledgeable! I highly recommend this place.